All jewellery benefits from being handled and worn with care, and being kept clean. When not wearing jewellery, always keep it in a soft pouch or jewellery box and out of direct sunlight. When in transit protect in a box or pouch. Check that fastenings are secure on necklaces and bracelets and that butterflies are tight on earrings, especially when changing clothing. Wearing jewellery in bed, while swimming, showering or at the gym should be avoided. Take care not to knock your rings or bangles on hard surfaces such as door handles or glass tables, as the metal may dent and gemstones can crack or chip. Apply hair products and toiletries before putting on your jewellery. Eternity rings need special care, especially, full eternity rings. A knock onto a hard surface can chip, crack or even shatter a diamond. Diamonds are the hardest stone known to man, but are not infallible. Should any damage occur to your eternity ring through wear and tear, we will repair your ring and the first replacement stone is free of charge. Precious metals are alloyed with other metals to make them more workable for jewellery. Fine gold and fine silver are both extremely soft on their own. All of the metals we use are hypo-allergenic, however, rare cases of allergies to these metals have been known. None of our jewellery contains nickel. Sterling silver is marked 925, which is 92.5% silver and 7.5% other alloys. Silver can be tarnished by natural oils in skin and sulphur in knitwear, but a good clean with a silver polish cloth or silver dip will remove tarnish. Vermeil (22k gold over Sterling silver) should not be polished. It should be dusted with a soft cloth, cleaned gently with warm soapy water, or immersed in silver dip for a short time. The Vermeil may eventually wear-off; Dinny Hall can re-plate Vermeil items, please see our re-plating guide below for details. Vermeil jewellery needs extra care so that the gold is not scuffed or scratched. It should be kept separately from other jewellery. Check earring butterflies are tight so as not to lose earrings, listen for 'click' with click post earrings and ensure catches are done up securely. 14k yellow gold is marked 585 which is 58.5% gold and 41.5% silver, copper and zinc 14k white gold is the same but with palladium and silver. 14k and 18k white gold is coated with rhodium (in the platinum family), this means 14k white gold is indistinguishable from 18k white gold and platinum to the eye. 14k yellow and white gold can be cleaned in silver dip however always read instructions first as some gemstones such as labradorite, lapis, opal, turquoise and pearls should not be immersed. Both 18k yellow and rose gold need little polishing and although care should always be taken, they need little maintenance. Both 18k white gold and platinum rings may need re-polishing depending on the level of wear and tear; the larger the surface area of the ring the more scuffing or scratching may occur. We generally plate our 18k white gold with rhodium (in the platinum family) as do most jewellers. Brushed finishes on rings will not last forever as the metal will gradually appear more polished with general wear and tear. However, we can recreate the finish at our workshops please contact us for details and charges. Some fine gold chain is very delicate, so please take care not to tug or catch the chain and check catches are securely fastened. All gemstones can be kept sparkling using washing up liquid, warm water and either a sponge or an old toothbrush. For gemstone rings, use an old toothbrush and warm soapy water to gently clean the gemstone, including behind the stone. Diamonds and sapphires are both very refractive gemstones but really do benefit from being kept clean. A knock onto a hard surface can chip or even shatter a stone – although diamonds and sapphires have a hardness of 10 & 9 on the Moh’s scale they are not infallible. Aquamarine, tourmaline, spinel, tanzanite, zircon and other coloured gemstones such as kunzite, chrysoberyl or morganite should always be worn with the care and be kept clean in the same way as diamonds and sapphires to retain their beauty. Certain stones are porous (e.g. labradorite, pearls, turquoise) and must not be immersed in cleaning products, please check product labels carefully. Avoid knocking gem set rings on hard surfaces; take off when using potentially damaging equipment. We are always happy to give your Dinny Hall jewellery a quick check and clean, we advise your ring is checked at regular intervals. If you notice a loose stone, please return the item to our stores for our in-house Goldsmith to assess. This is especially recommended for high value stone set items. Clean pearls using a clean duster or a pearl cleaning set available from specialist stores. Chain linked pearls can be immersed in warm water and sponged, but strung pearls should not be immersed at all. Strung pearls such as south sea or fine fresh water pearls should not be immersed or worn in water. Clean with a clean soft cloth or professional pearl cleaner. Pearls love to be worn as moisture from the skin enhances the lustre. Always apply perfumes and creams before putting on your pearl jewellery. Dinny Hall jewellery is guaranteed for 12 months, under normal conditions of wear and tear (see jewellery care). Gold Vermeil is 2 Microns or more of 22k yellow or rose gold. We endeavour to achieve a consistent colour of gold Vermeil, however, gold plating being a volatile and complex process there can be some variation of shade. The plating on gold Vermeil jewellery is guaranteed for 12 months, so if the piece requires re-plating it will be free of charge. After 12 months, please see our re-plating guide. Dinny Hall jewellery which combines silver, 14k gold and gemstones is generally rhodium plated, but we do not coat any silver with anti-tarnish varnish as we feel this destroys the natural beauty of sterling silver. All rhodium plated jewellery can be polished and re-plated, please contact us for details and charges. Dinny Hall offers one free polish and/or rhodium plate on all 18k gold rings. We repair Dinny Hall eternity rings, the first replacement stone is free of charge. Dinny Hall gold Vermeil jewellery is guaranteed for 12 months, during this period it will be re-plated free of charge, if required. Gold Vermeil may eventually wear-off jewellery, we can re-plate your Dinny Hall Vermeil items in 3-4 weeks. For a quote, please contact us on 02077923913, email us on repairs@dinnyhall.co.uk or visit one of our stores for expert advice for our consultants.  Dinny Hall jewellery is guaranteed for 12 months, under normal conditions of wear and tear (see jewellery care). After 12 months, if your Dinny Hall jewellery needs to be repaired, please contact us to discuss the repair and charges. On rare occasions we are unable to repair customer jewellery, the main reasons being we no longer produce this item so no longer use this jewellery technique or carry spare components. Please contact us on 02077923913, email us on repairs@dinnyhall.co.uk or visit one of our stores for expert advice for our consultants.